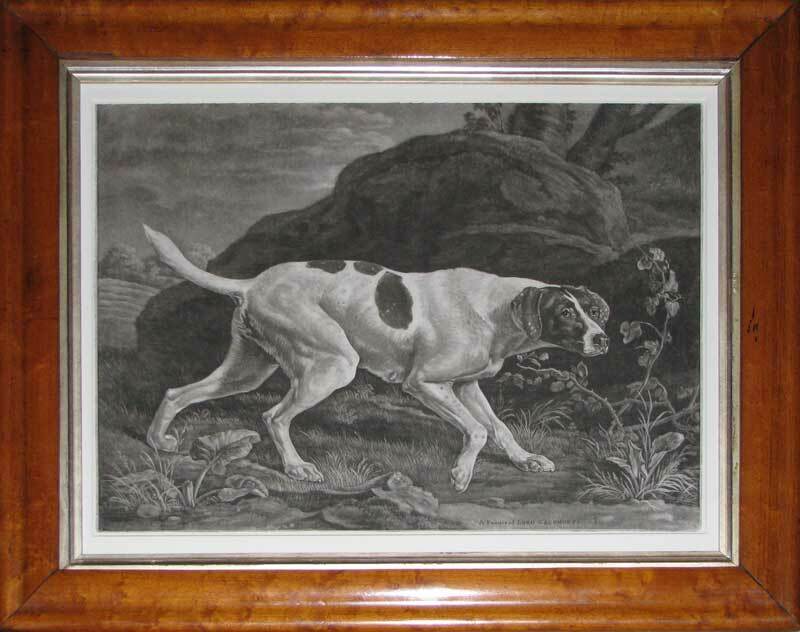 Mezzotint engraving by Benjamin Green after the painting by Stubbs; published in London 1772. Much of Benjamin Green's work was focused upon the paintings of George Stubbs. Stubbs himself, perhaps best known for his extraordinary ability to capture the natural physique of a horse, produced several exceptional paintings of working dogs. This is the second state of this plate with the title in closed letters beneath the paw of the dog within the printed image. Lennox-Boyd et al: 'George Stubbs - The Complete Engraved Works', 34.